Every year, we always await the Union des Grands Crus de Bordeaux (UGCB) tasting with anticipation, but this year, there was some added allure. The Bordelais were scheduled to show their highly acclaimed 2016 vintage. Like the 2009 and 2010 vintages, 2015 and 2016 represent back-to-back blockbuster vintages that have been hailed by critics and wine enthusiasts alike. If you are not familiar with the 2016 vintage, it has been described as a very balanced vintage, with wines made in a more classic style. Whenever a particular Bordeaux vintage described as ‘classic,’ this often means that the vintage is not among the most acclaimed and that the wines may have less appeal to those who enjoy fruit-forward wines. It appears that 2016 may be a vintage that has broad appeal, from Bordeaux fans who prefer a more traditional style and those who enjoy more fruit-forward, modern styles. This is a balance that is not easily achieved, and is one of the reasons that 2016 may be quite a special vintage. The UGCB does not just represent a tasting for us. Rather, it is also a time to catch up with many good friends from Bordeaux. To taste all of these wines in such a short period (3 hours) is quite difficult to do. We usually have a game plan, depending on the vintage. Whereas at last year’s UGCB tasting, where we focused on the right bank and Pessac-Léognan, this time we spent more time on the left bank. From tasting the 2016 wines in barrel and now in bottle, it does appear that the left bank may hold a slight edge. However, many of the right bank wines did impress and will certainly evolve into excellent wines. Before discussing some of the specific wines, a few generalizations are in order. First, the alcohol has been held in check in 2016. There was almost no sensation of heat in any of the wines, and the management of the alcohol was superb in this vintage. Second, the tannins are incredibly soft. Yes, after tasting countless young wines at any tasting, the palate begins to dry out a bit; however, the wines themselves showed a very soft structure, more so than even the 2015 wines. Finally, balance is the key in 2016. There was no sense of over-ripeness or over-extraction. The wines were truly a joy to drink, which is commendable for such young wines. In some vintages, it can be fatiguing to taste so many wines, but not so in 2016. Keeping in mind that there is only a finite period to taste these wines, not all wines were reviewed. We started the tasting wines from the Pauillac appellation. Both Pichons were exceptional. And whereas in 2015 I would give the slight nod to Baron, 2016 is Lalande’s year. With a knockout nose and super-silky palate, this is a wine that demands attention. While made in a bit more classic style, the Lynch-Bages was excellent as well. With its graphite and dark fruit, this was a wine with solid structure, but very soft tannins. I found the same pattern in the Cazes Saint-Estèphe wine, Ormes de Pez. This is clearly one of the best vintages I have tasted of this wine. I saw this same excellence in Château de Pez as well. As has been reported widely, the northern Médoc produced very strong wines in 2016. This is not to say that excellent wines weren’t produced in the more southerly Saint-Julien. This appellation, which is perhaps the most consistent in the left bank, was nothing short of extraordinary. Like the Pichons, both Léovilles at the tasting were fantastic. I would possibly give the slight nod to the Barton in 2016, but the Poyferré was great as well. I just loved the pure dark fruit that was so clearly the Barton style. But what may turn out to be the best value in Saint-Julien is the 2016 Langoa Barton. Like the Ormes de Pez, I am not sure I can recall a better young vintage of Langoa. We spoke with Jean-Michel Laporte, previously at La Conseillante, who is now at Chateau Talbot. He made us aware of changes being made at Talbot, and discussed their plan to increase their oenotourism, which is a trend that continues throughout Bordeaux. The Talbot and Branaire-Ducru are other excellent value buys in 2016. And not to be overshadowed are the many great wines in the Margaux appellation. One of the jewels of Margaux in 2016 is Brane-Cantenac. This wine definitely impressed, and you could already sense the signature Brane-Cantenac aromas that emerge with bottle age. The right bank is not to be overshadowed in 2016. The wines are a bit less forward and perhaps more balanced overall than in 2015. It is going to be a question of style as to whether someone prefers 2015 or 2016. The wines from Pomerol were impressive across the board, from Clinet to Gazin. A similar trend was seen in the Pessac-Léognan wines, which were all very drinkable at such a young age, from Haut-Bailly to Larrivet Haut-Brion. The balance was nowhere more evident than in the Pape Clément red, where there has been a style change toward more restraint in 2016. In other years, we plan to travel to Bordeaux in June for the UGCB to fill in the gaps that we missed at the U.S. tastings. Unfortunately, we are not able to do that this year. 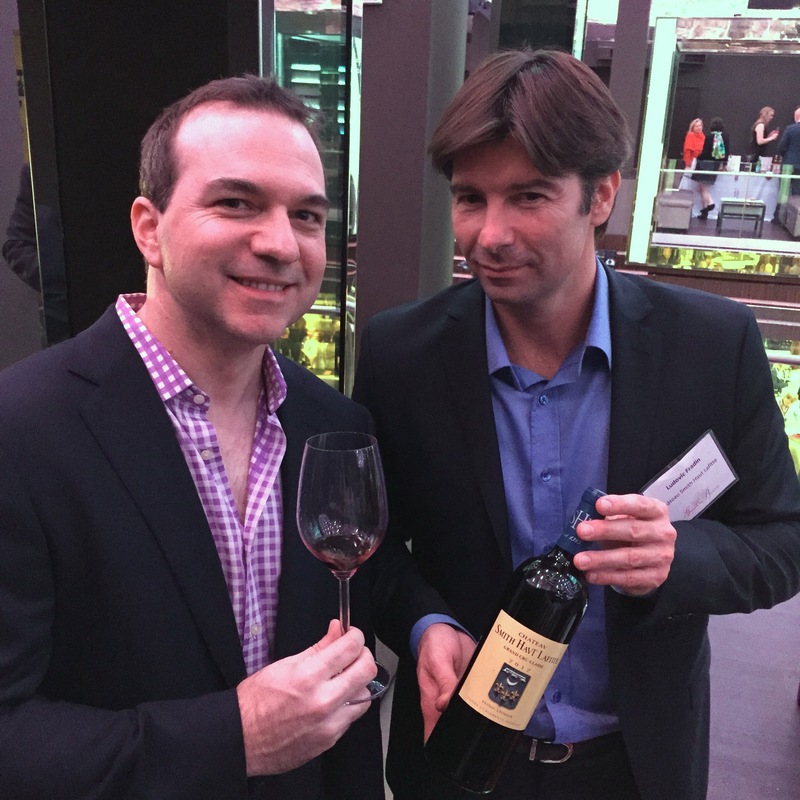 But even one afternoon in Miami told us all we needed to know about 2016 Bordeaux: the predictions were correct. 2016 is going to be a long-lived, beautiful vintage that one will enjoy drinking for several decades, with superb wines produced in every appellation. 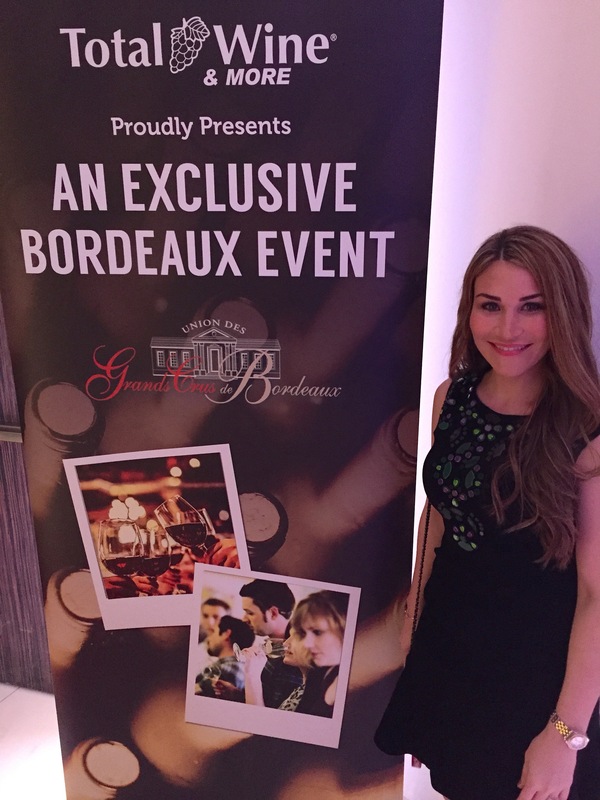 One of the greatest wine tasting events is sponsored by the Union des Grands Crus de Bordeaux (UGCB). Established in 1973, the UGCB organizes wine-tasting programs to promote and educate the world on wines from the famous Bordeaux region. In addition to tasting these wines, it is such a great experience to speak to the chateau representatives, which include many of the head winemakers and chateau owners. With over 80 chateaux present at the tasting, it is virtually impossible to taste and admire all of the wines in less than 3 hours. We strategically selected some “must taste” wines according to our personal preferences and reputations from the 2012 vintage. The event in Miami was the first of the North American tour. 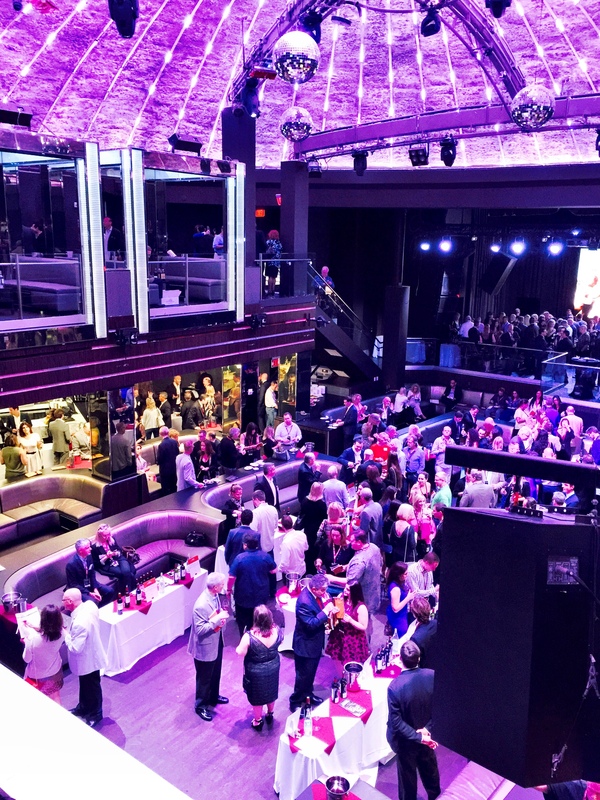 It was held at an incredible venue, the famed LIV nightclub. But instead of DJs and club-goers, the nightclub was transformed into a charming and elegant atmosphere. Due to the large space, the chateaux were all nicely spread out and arranged. The appellations (Bordeaux regions) were all arranged in a logical manner as well. The event was scheduled to start at 7:30pm, but we had purchased ‘VIP Access’ tickets that allowed us access at 7:00pm. We made sure to take advantage of the sparse crowds in these first 30 minutes! By the end of the event at 10pm, we had tasted over 30 wines and had delightful conversations with some of the most important people of the Bordeaux wine industry. In a later post, we will share some of the more memorable wines that we tasted. Right now, we just want to focus on the overall experience. Stephan von Neipperg, proprietor of Canon-la-Gaffeliere. First, it is important to note that the 2012 vintage was somewhat difficult in much of Bordeaux. It was a late harvest and yields were reduced, especially in Sauternes. The general consensus is that this is a vintage for drinking, but not for investment. It was interesting to note that while some wines that we tasted had somewhat harsh and grippy tannins, many of the wines were already enjoyable and smooth on the palate. Merlot fared particularly well, but some chateaux on the Right Bank mentioned difficulties with ripening of Cabernet Franc (while Canon-la-Gaffeliere, on the other hand, contained 45% Cabernet Franc!). Overall, many consider this to be a ‘Right Bank vintage,’ but many in Graves and Pessac-Leognan produced some notable wines as well (especially the white wines). And while the fruit in many 2012 Bordeaux wines appear to be very ripe, we didn’t note much over-extraction in any of the wines. Perhaps 2012 will be a great ‘value vintage’ for lovers of Bordeaux? Julien Barthe, head winemaker of Beau-Sejour Becot. It was certainly clear that many of the representatives were proud of their achievements, as they should be. 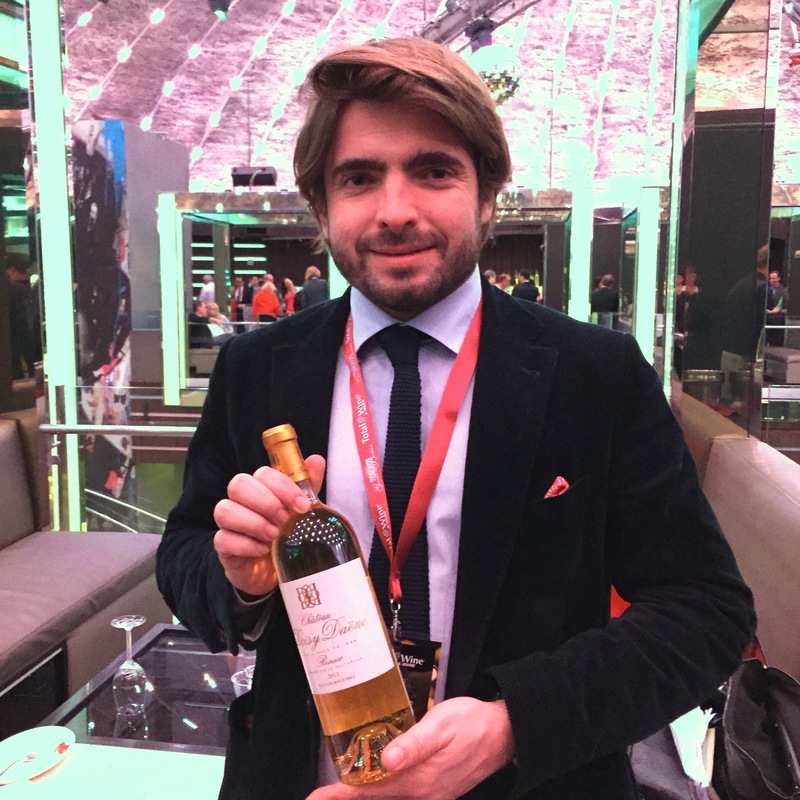 Speaking with Julien Barthe of Beau-Sejour Becot, he noted that their goal was to produce a wine that would drink well young, and I think that they succeeded. It was simply sublime. 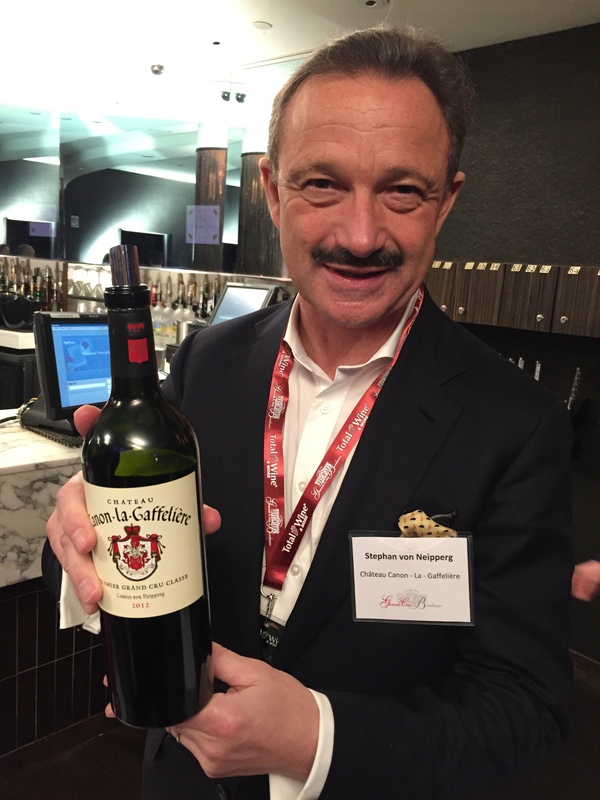 Comte Stephan von Neipperg also noted that his Canon-la-Gaffeliere should be ready to drink in the near future. The representative from Gazin commented that their wine is 100% Merlot, due to the fact that they had poor ripening and yields of their Cabernet Franc. While we spent a lot of time tasting wines from Margaux, St. Julien, and Pauillac, it was clear that many of these wines are babies and nowhere near drinking well. Despite this, the concentration and complexity were there, in order to produce a nice product. It was nice to see that almost all of the wines exhibited ripe fruit, not surprising considering the heat experienced in the late season. But one of the main highlights of the tastings was being able to speak with the chateau representatives, who were all so friendly and engaging. From Anne Cuvelier (of Leoville Poyferre) to Emeline Borie (of Grand Puy Lacoste) to Charlotte Denjean (of Lagrange), the experience was just fantastic. Ludovic Fradin, Directeur Commercial at Smith Haut Lafitte. 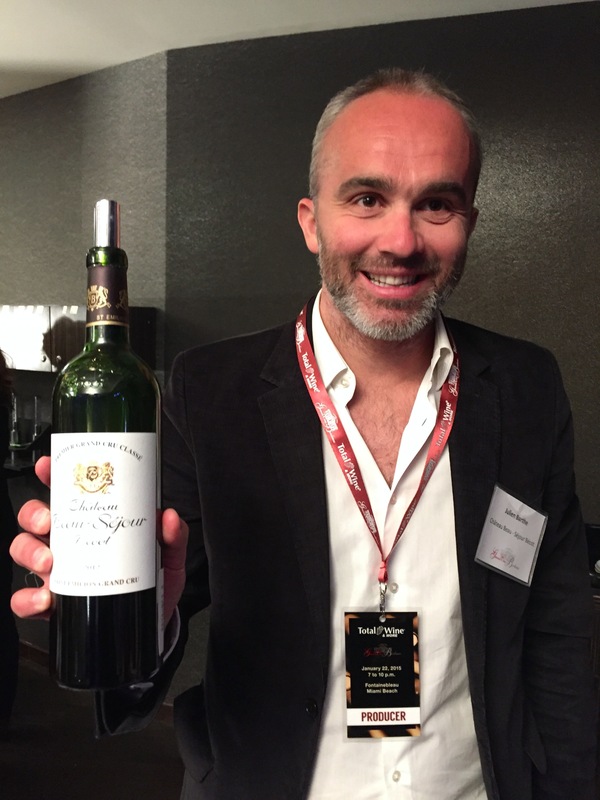 Perhaps the surprise of the evening was the time spent in the Pessac-Leognan region. Once we made it upstairs and tasting the first wines, we quickly realized that we needed to spend some considerable time here. We first started with Smith Haut Lafitte, and were immediately impressed with both of their wines (red and white). The SHL representative, Ludovic Fradin, was very nice and kindly invited us to visit the chateau. Pape Clement served up an impressive red, but more impressive white wine. But perhaps the highlight was speaking with the kind Paulin Calvet of Picque Caillou. I enjoyed hearing his passion about his wines; I look forward to tasting these wines in the upcoming years, but his 2012 wines were quite enjoyable now. Jean-Jacques Dubourdieu of Chateau Doisy Daene. And finally, we visited with Berenice Lurton of Chateau Climens. We had attended a private tasting on the previous night, but had not tasted the 2012. The 2012 Climens is a must-buy for those who enjoy Sauternes wines. Sauternes had a very tough vintage in 2012, with extremely reduced yields, but it seems that Berenice weathered the storm. The same could be said for both Guiraud and Doisy-Daene, who both produced rich, enjoyable wines. Overall, this event did not disappoint. 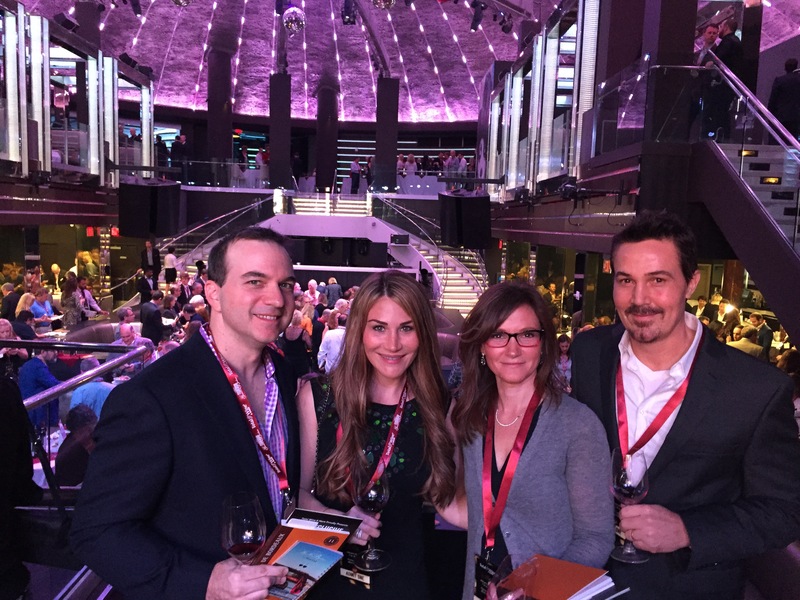 From the atmosphere at LIV to the consistently excellent wines, this was one great evening. Total Wine, who had organized the event in Miami, pulled it off with flying colors. Hopefully, the UGCB will return to Miami next year.